2002-2008: Diplom (~MSc) in Geography, University of Bonn. Thesis title: Water: A Scarce Resource in Benin? Modeling the water balance of the Ouémé catchment with WEAP ‘Water Evaluation and Planning’ system. Distinguished with young scientist award of Fachgemeinschaft Hydrologische Wissenschaften. Studies of Geography at Rheinische Friedrich-Wilhelms-Universität Bonn. Study areas (Majors): Hydrology, Political Ecology, Land degradation in Developing Countries, Environment and Development. Minors: Soil sciences, Economics of agriculture and environment. 2006: Bachelor of Sciences with Honours in Physical Geography, University of Wellington, New Zealand. Thesis title: Hydraulic behaviour of the soils of the Paraparaumu foreland. Study abroad with DAAD scholarship at the School of Geography, Environment and Earth Sciences, Victoria University of Wellington (VIC), New Zealand. Evers, M., Höllermann, B., Almoradie, A., Garcia Santos, G., & Taft, L. (2017). The Pluralistic Water Research Concept: A New Human-Water System Research Approach. Water, 9 (12), 933. Evers, M., Höllermann, B., Almoradie, A., Taft, L., & Garcia-Santos, G. (2017). The pluralistic water research concept – a new human-water system research approach. Geophysical Research Abstracts, 19(EGU), 14371. Höllermann, B., & Evers, M. (2017). Insights into water managers’ perception and handling of uncertainties – a study of the role of uncertainty in practitioners’ planning and decision-making. Geophysical Research Abstracts, 19(EGU), 2162. Evers, M., Höllermann, B., Almoradie, A., & Taft, L. (2016). Benefits from a geographers’ perspective on human-water systems - the waterscape concept. Geophysical Research Abstracts, 18(EGU), 8402. Johannsen, I., Hengst, J., Goll, A., Höllermann, B., & Diekkrüger, B. (2016). Future of Water Supply and Demand in the Middle Drâa Valley, Morocco, under Climate and Land Use Change. Water, 8(8), 313. Höllermann, B., & Evers, M. (2015): Integration of uncertainties in water and flood risk management. Proc. IAHS, 370, 193-199. Höllermann, B., & Evers, M. (2015): Integration wissenschaftlicher Unsicherheiten in Entscheidungsprozesse - Ein risikobasierter Ansatz zur verbesserten Berücksichtigung von Unsicherheiten im Wassermanagement. In M. Evers & B. Diekkrüger (Eds. ), Tag der Hydrologie (Vol. 35.15, pp. 77-87). Forum für Hydrologie und Wasserwirtschaft, Bonn. Höllermann, B., S. Giertz, and B. Diekkrüger. (2010): Benin 2025 - Balancing future water availability and demand using the WEAP 'Water Evaluation and Planning' system. Water Resources Management. doi:10.1007/s11269-010-9622-z. Giertz, S., B. Diekkrüger, C. Hiepe, and B. Höllermann. (2010): Water related Problems. In: Impacts of Global Change on the Hydrological Cycle in West and Northwest Africa, eds. P. Speth, M. Christoph and B. Diekkrüger, Springer: 484-511. Hadjer, K., B. Höllermann, and M. Bollig. (2010): Social organization, livelihoods and water supply in Benin. In: Impacts of Global Change on the Hydrological Cycle in West and Northwest Africa, eds. P. Speth, M. Christoph and B. Diekkrüger, Springer: 286-304. Giertz, S., Diekkrüger, B., & Höllermann, B. (2010): Assessment of the current and future water balance of the Ouémé catchment (Benin) for an integrated water resource management by using the WEAP water planning model. In EGU General Assembly Conference Abstracts (Vol. 12, pp. 8934). Giertz, S., Diekkrüger, B., & Höllermann, B. (2010): Impact of global change on water resources in the Ouémé catchment, Benin. In The Global Dimensions of Change in River Basins - Threats, Linkages and Adaptation (pp. 57-65). GWSP. Höllermann, B., B. Diekkrüger, and S. Giertz. (2009): Bewertung der aktuellen und zukünftigen Wasserverfügbarkeit des Ouémé Einzugsgebiets (Benin, Westafrika) für ein integriertes Wasserressourcenmanagement mit Hilfe des Entscheidungsunterstützungsmodells WEAP. Hydrologie und Wasserbewirtschaftung 53 (5): 305-315. Diekkrüger, B., M. Diederich, S. Giertz, B. Höllermann, A. Kocher, B. Reichert, and G. Steup. (2008): Decision Support for Balancing Water Availability and Water Demand. In International Conference: Global Change and Water Resources in West Africa - The German-African GLOWA Projects - Book of Abstracts, eds. K. Vielhauer, C. Arntz and E. Oeliger. Ouagadougou, Burkina Faso: BMBF. Diekkrüger, B., M. Diederich, S. Giertz, B. Höllermann, A. Kocher, B. Reichert, and G. Steup. (2008): Water availability and water demand under Global Change in Benin, West Africa. In International Conference: Global Change and Water Resources in West Africa - The German-African GLOWA Projects - Book of Abstracts, eds. K. Vielhauer, C. Arntz and E. Oeliger. Ouagadougou, Burkina Faso: BMBF. Höllermann, B. (2008): Water: A Scarce Resource in Benin? – Modeling the water balance of the Ouémé catchment using the WEAP 'Water Evaluation and Planning' system. 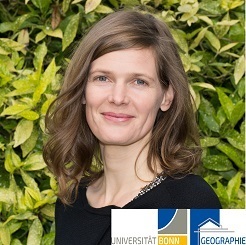 Master thesis, Department of Geography, University of Bonn, Bonn. Dienst, C., M. Fischedick, S. del Valle, M. Bunse, H. Wallbaum, and B. Höllermann eds. (2008): Water for energy and energy for water. WISIONS Promotions of Resource Efficiency Projects (PREP) 12, Wuppertal: Wuppertal Institute for Climate, Environment and Energy. Dienst, C., M. Fischedick, S. del Valle, M. Bunse, H. Wallbaum, and B. Höllermann eds. (2007): Solar cooling - Using the sun for climatisation. WISIONS Promotions of Resource Efficiency Projects (PREP) 11, Wuppertal: Wuppertal Institute for Climate, Environment and Energy. Dienst, C., M. Fischedick, S. del Valle, M. Bunse, H. Wallbaum, and B. Höllermann eds. (2007): Sustainable Energy for Poverty Reduction. WISIONS Promotions of Resource Efficiency Projects (PREP) 10, Wuppertal: Wuppertal Institute for Climate, Environment and Energy. Höllermann, B. (2006): Hydraulic behaviour of the soils of the Paraparaumu foreland. Honours thesis, Department of Geography, Victoria University of Wellington, Wellington, New Zealand.